Methanol Esterification Process Complete Equipment - Biodiesel Solutions – Biodiesel Machinery Equipment Projects. (1) normal pressure esterification with strong ultrasonic cavitation technology (patent), the Characteristic is using atmospheric esterification, transesterification, in line with our company’s strong ultrasonic cavitation original technical solutions, make the reaction time reduced by two-thirds of the time, relative to save a lot of energy and human resources. The process interacts with the turbulent flow tubular reactor (patent) back of continuous reaction with continuous distillation process to achieve continuous process back of the overall conduct and to ensure the stability of quality. 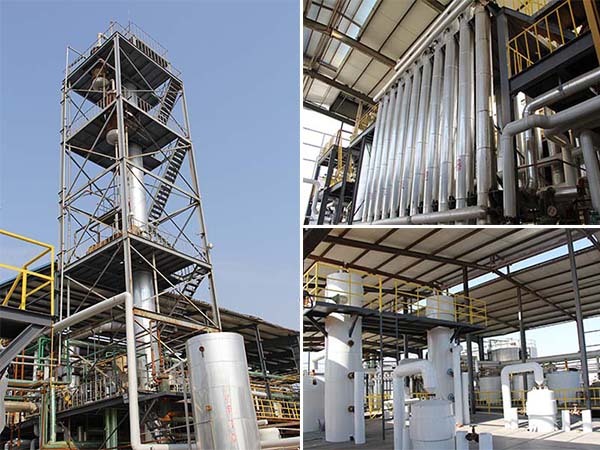 (2) The integration of reaction and separation of methanol vapor Esterification process (patent), Interact with the turbulent flow reactor, a continuous tubular reactor. 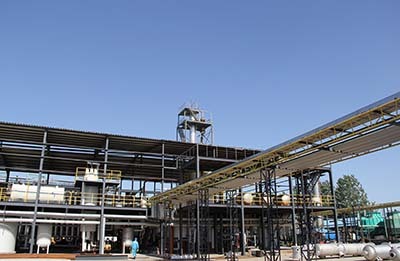 In front of esterification continuously feeding methanol, intermittent feed material, the semi-continuous process; transesterification and later refined completely continuous. Transesterification reaction using self-developed turbulence interactive tubular reactor, is currently the only one who using the new equipment, and can be fully realized continuous reaction at low temperatures and pressure, high conversion efficiency, easy installation, easy operation, Low energy consumption, the extent of reaction can be achieved on-line control and many other advantages.